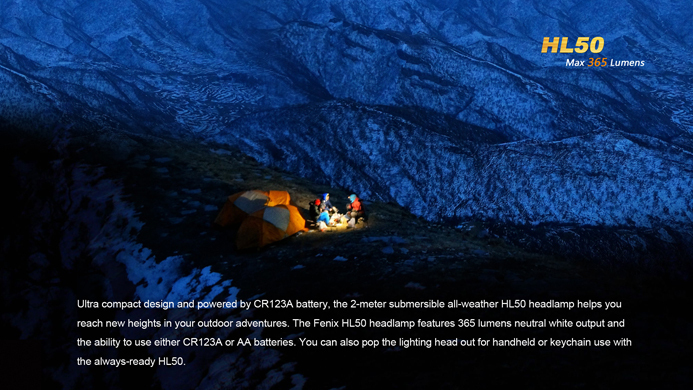 Ultra compact design and powered by CR123A battery, the 2-meter submersible all-weather HL50 headlamp helps you reach new heights in your outdoor adventures. 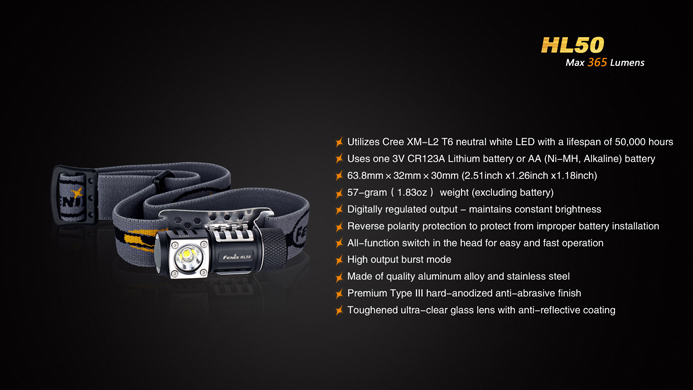 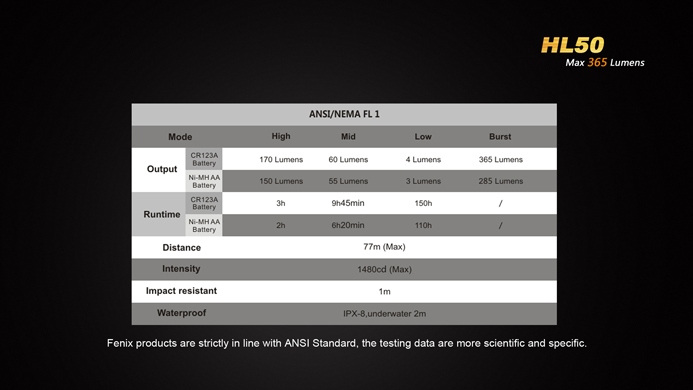 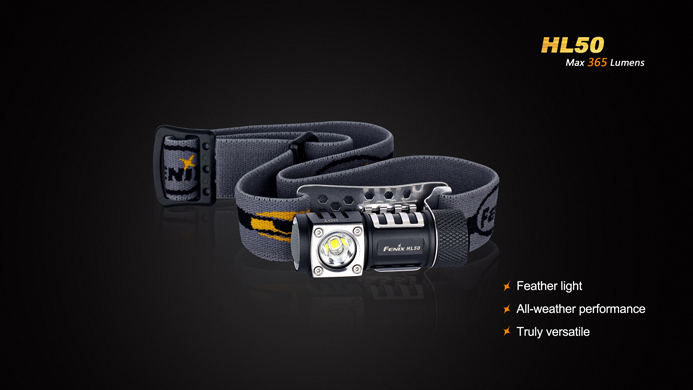 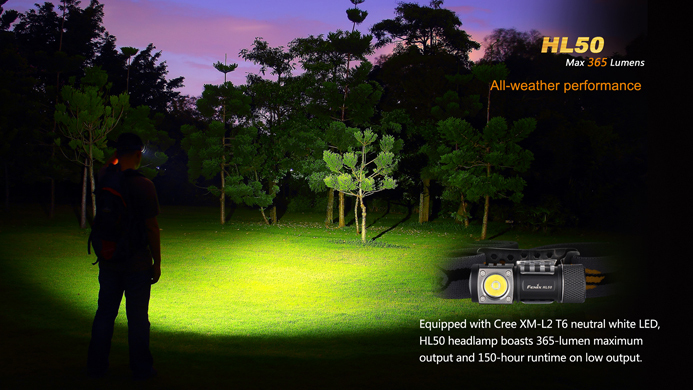 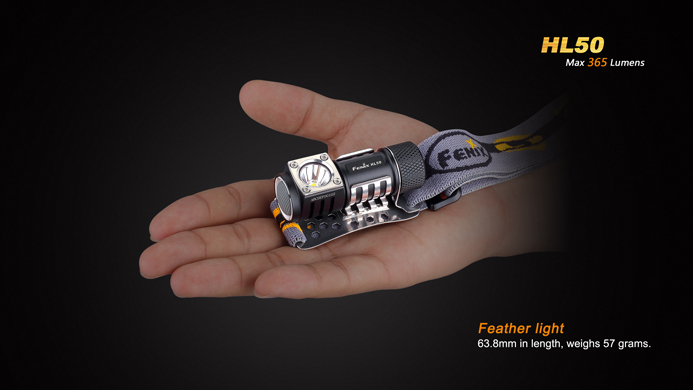 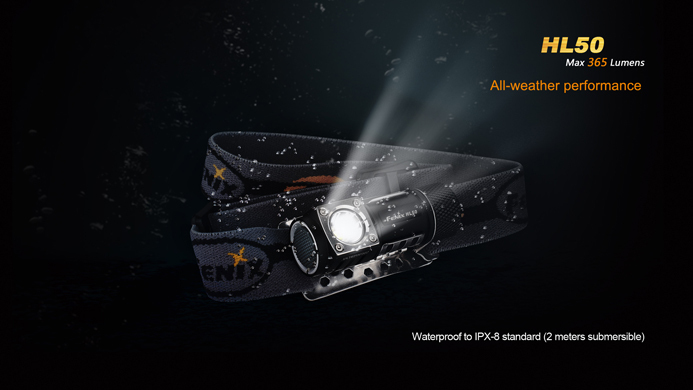 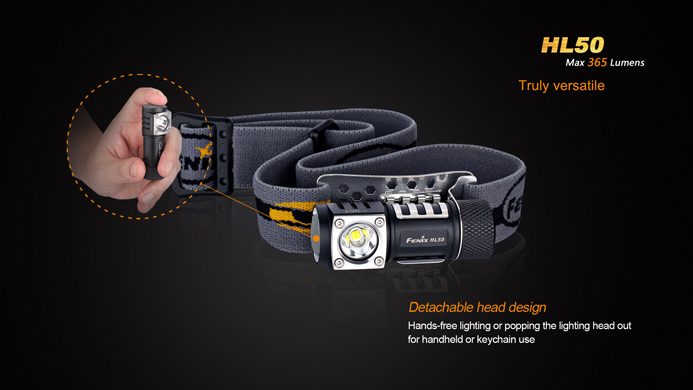 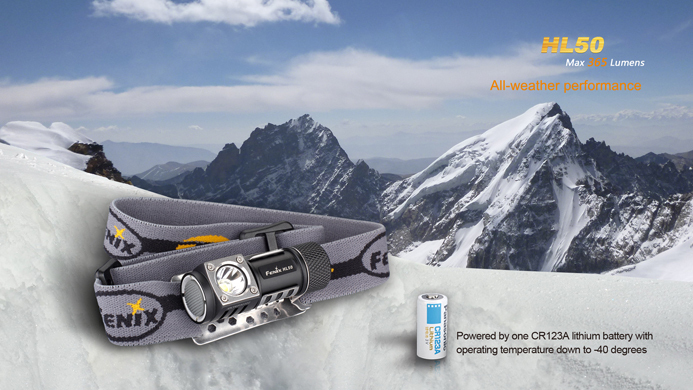 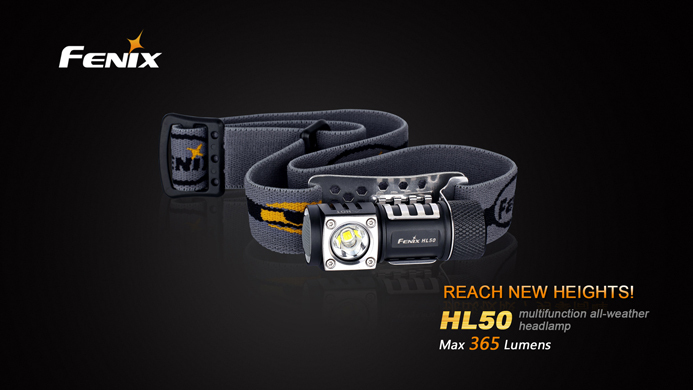 The Fenix HL50 headlamp features 365 lumens neutral white output and the ability to use either CR123Aor AA batteries. 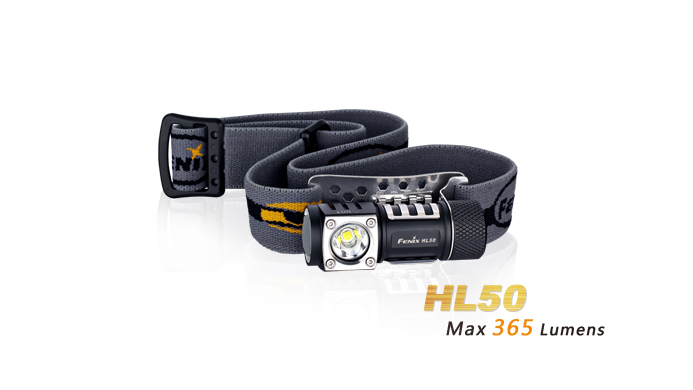 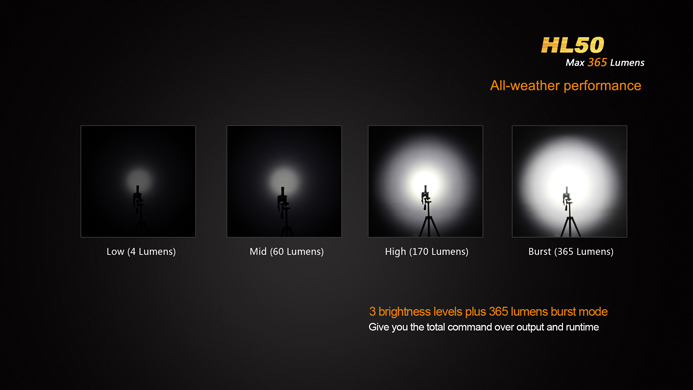 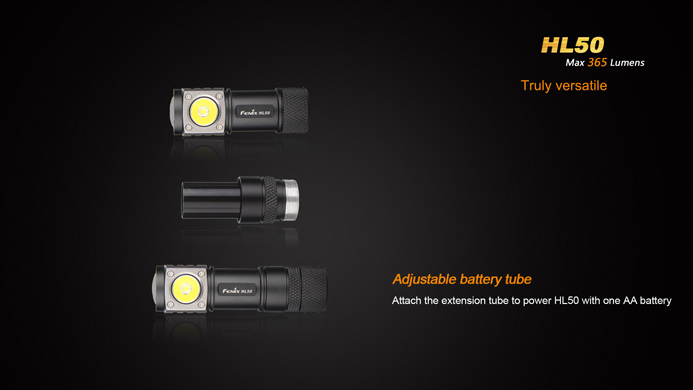 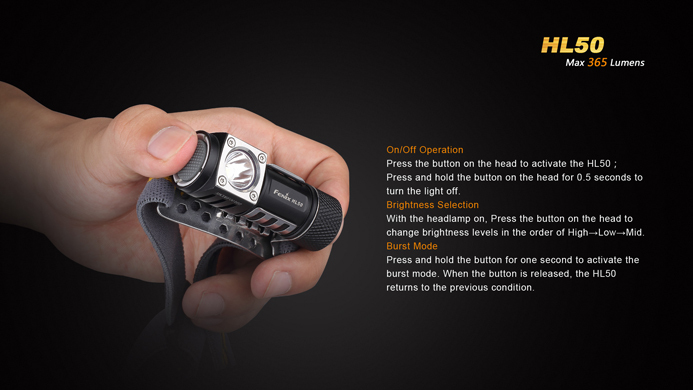 You can also pop the lighting head out for handheld or keychain use with the always-ready HL50.